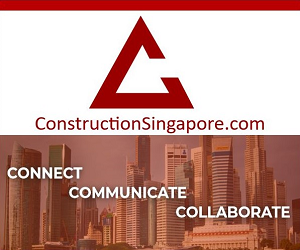 Construction Technology: How is Singapore Sustainable? Singapore has becoming a nation of note in its construction technology advancements that work towards sustainability. Here’s how we’re working for the future. As a city-state, Singapore has few natural resources. Most construction technology requires materials that need to be imported. Singapore has a population of 5.7 million, and a land area of 700 square kilometres. But with that population growing, how do you balance sustainability with economic growth? A new reliance on construction technology will be the way to do it. So how is Singapore achieving its targets? The Sustainable Singapore Blueprint was announced in 2009 and updated in 2015. Its goal is to reduce the use of landfill to zero and improve the efficiency of resources. With such high hopes, there needs to be a reliance on construction technology to help achieve this. The blueprint led to the formulation of the Sustainable Construction Masterplan. At its heart, the Masterplan relies on simple principles. A key element involves the adoption of materials and products that use fewer natural resources. In order to achieve that, there should be more reusable materials in use. Not only that, but design needs to be more efficient to make the most of natural materials. The Sustainable Construction Masterplan relies on five key strategic thrusts. And there has already been progress. The creation of the Masterplan led to the formation of the Sustainable Construction Steering Group (SCSG). The committee, involving several agencies, is responsible for the implementation of the Sustainable Construction Masterplan. But the government must also make use of sustainable construction technology in public sector projects. This is particularly the case for new government buildings. The Building and Construction Authority (BCA) used its own Academy as an example. They retrofitted an existing building using existing construction technology. Installing a new cooling system and solar chimneys all helped to save money. In fact, the Zero Energy Building (ZEB) is expected to be 40-50% more efficient than a similar office building. Other buildings will be designed to achieve the Green Mark Platinum and Green Mark Gold Plus building ratings. The BCA offers awards and incentive schemes to achieve the ratings. Until 2015, 130 buildings had benefited from the Green Mark Incentive Scheme for Existing Buildings. And while persuading developers to adopt sustainable construction practices in the private sector isn’t easy, it’s not impossible. The Tampines Concourse was the first carbon-neutral building in the Asia-Pacific region. It uses water as a cooling agent instead of chemical refrigerants. This natural heat exchange cools air coming into the building from outside. And the Marina Bay Sands hotel achieved the Green Mark Gold Award in 2012. It employs sustainable construction technology to help meet its green targets. A network of shades helps to cool the interior of the hotel. And the building uses less energy-intensive lighting due to the natural daylight filtered inside. Green materials were utilized wherever possible, including recycled drywall partitions, fire-rated doors or decking. Self-closing taps and flow regulators make sure water wastage is kept to a minimum. The hotel even collects rainwater to flush the toilets and irrigate plants. 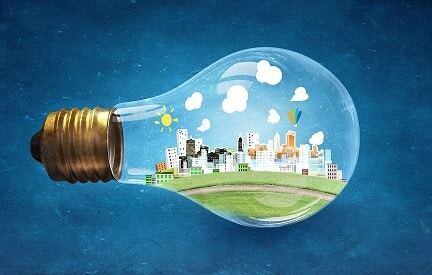 We have a discussion forum dedicated to green construction if you’d like to discuss it further. Initiating an overhaul of a key industry like construction doesn’t come cheap. A $50 million fund was launched in 2007. It aimed to help encourage research and development into green buildings and sustainable construction technology. A second fund was launched in 2010. The $15 million Sustainable Construction Capability Development Fund aimed to improve the capabilities of industry to actually adopt the construction practices and technologies. This second fund supports a range of areas. It can help companies upgrade their construction technology to better match sustainable practices. It can also help companies achieve certification or accreditation. Or it can run pilot projects to increase industry knowledge. But despite Singapore’s successes, the BCA still wants to drive demand for sustainable construction. They run conferences and exhibitions to share knowledge and celebrate the wins within sustainable construction so far. It is working. 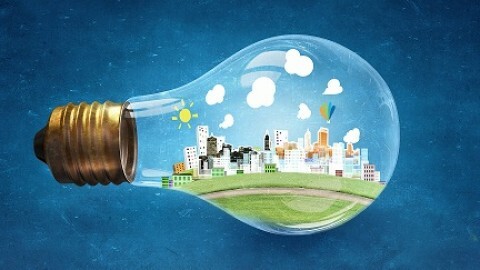 Singapore ranked as Asia’s greenest city in a 2011 Siemens-Economist study. The BCA Gallery also works to raise public awareness. Construction technology and sustainable materials find a showcase in the gallery. It also acts as an outreach platform. Achieving buy-in from younger Singaporeans is key to driving that demand for sustainable construction. Getting involved with these exhibitions help you maintain your continued professional development. And being part of the construction community is a key way to keep yourself up to date. So what initiatives are in place? Demolition is a key growth area for sustainable construction. Waste needs to be managed so the maximum amount of materials can be reused or recycled. Where possible, buildings will be demolished in stages to allow materials to be safely reclaimed. The materials can then be re-used in other projects. Naturally, this requires a quality assurance that recycled materials are safe for re-use in construction. Recyclers of construction and demolition waste can actually seek accreditation to prove the quality of their materials. And specifying other re-usable materials is a key part of the drive for sustainable construction. Recycled Concrete Aggregates (RCA) can be used for 50% of non-structural building use. Only 20% can be used in a structural way to replace coarse aggregates. And in fine aggregates, washed copper slag can replace 10% of the usual material in structural use. At least 50% of fine aggregates can be replaced for non-structural use. Dredged materials and waste from industrial activities can even be converted into synthetic sand. A combination of the Green Mark Scheme and relevant codes and standards influence design towards sustainable outcomes. If you want to keep up to date, the BCA provides a range of guidebooks for best practice. They also run pilot projects, training courses and seminars help to keep construction professionals up to date. But if you’d like to discuss sustainable technology further, visit our construction technology forum. We’d love to hear what you think!